Services – Coastal Furniture Services, Inc.
We can handle any type of repairs for wood damaged furniture ranging from dog chewed areas, missing veneers or inlays, broken legs/arms, to transit, smoke, fire, and mold related damages. We take on all varieties of repairs from missing corners/sections/trim, etc., to tightening joints, repairing or replacing missing dowels, inlays, veneers to patching scratched, gouged, chunk missing areas. Whether your furniture is old, new, or antique we excel at bringing it back to it's original beauty and always strive to preserve the heritage for every piece. Refinishing is a time consuming process that is best left to the professionals. In most cases, one of the first steps to refinishing is to strip the piece of it's existing finish whether it is paint, poly, varnish or lacquer. Here, at Coastal, we do not use dip tanks but instead strip items which need stripping by hand. 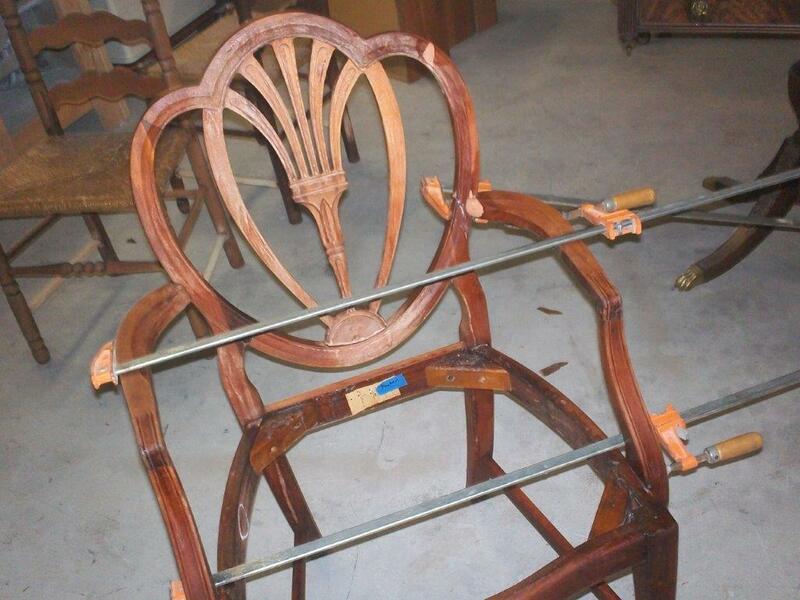 Dip tanks often loosen adhesive at the joints, especially in antique furniture. It can also ruin existing veneers and can sometimes even burn the wood. Once the piece is stripped, we thoroughly go over each piece and clean it by hand. Once cleaned, we apply filler to any damaged areas and then it is sanded until smooth. Once the sanding is completed, the coloring process begins whether it is stain, lacquer, varnish, poly or paint. After several coats of coloring has been applied, the piece will be hand sanded, prepping it for it's next coat of color. Once the desired color is accomplished, several coats of clear will be applied in a flat, matte, satin, semi-gloss, hi-gloss finish, whichever meets your request. The clear top coat not only protects the piece and it's finish, but also assists in odor control of your newly refinished item. We here at Coastal take great pride in restoring your precious antiques back to it's original condition. We have decades of experience which can easily be seen in the quality of our work. Every antique is different; each having it's own tale a tale to tell. Whether you are restoring an antique for sentimental value, monetary value, decorative purposes, or just to be "green", we look forward to bringing your piece back to it's original beauty! What is an antique? In our society, an antique is only considered an antique when it is 100+ years old. We refer to items that are at least 50+ years old as being "vintage". Whether you fancy contemporary, or traditional, or something in between, we will fulfill your unique design concept. Every cabinet is hand-build and crafted especially for you, to fit your your style and preference. 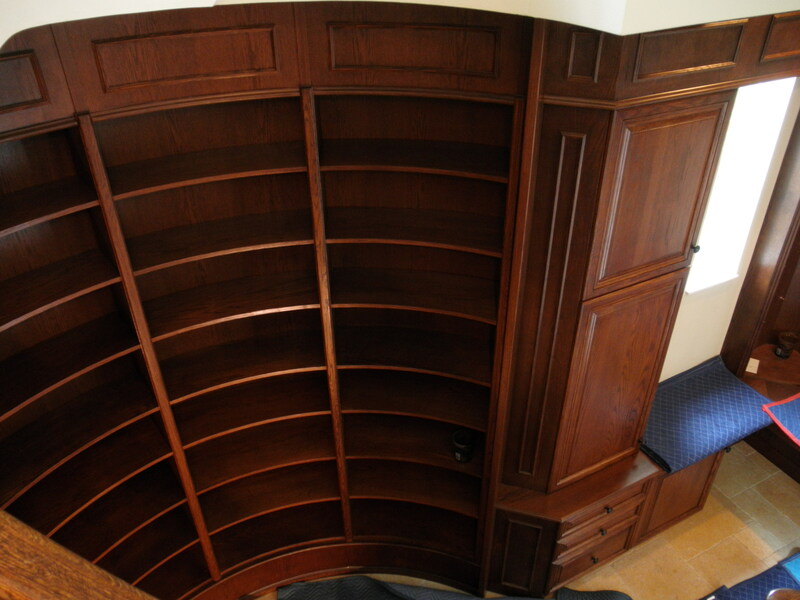 We have had decades of experience in crafting custom cabinetry to fit any room in your house. When you choose Coastal to build your cabinetry you can rest assured that each cabinet will be made with high-quality goods and finishes. We proudly say that love and pride are put into every cabinet we build. We are meticulous when it comes to not only the finish, but also the crafting of your cabinets. Each cabinet drawer and door are hand-fitted one at a time to ensure a perfect fit.